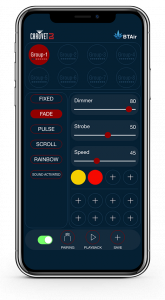 Sunrise, Florida – CHAUVET DJ, which has a long history of developing cutting-edge lighting technologies, has once again ushered in a new era of wireless lighting control with the introduction of BTAir, an app that uses Bluetooth® wireless technology to control lights directly from a phone or tablet without any additional hardware needed. Combined with new CHAUVET DJ Bluetooth® wireless technology-enabled lights, – SlimPAR T12 BT, SlimPAR Q12 BT and COLORband T3 BT, BTAir is redefining ease and flexibility of lighting control. The new app is available for iOS and Android platforms. Users can download the free app from the Apple or Google Play stores. BTAir effortlessly pairs with CHAUVET DJ Bluetooth®-enabled fixtures. Users can create, store and recall scenes, control color fades, chases and more. SlimPAR T12 BT makes remote light control easy with its on-board Bluetooth® wireless technology. SlimPAR T12 BT has 12 tri-color (RGB) LEDs and its compact design easily fits inside sticks of truss making it perfect for truss warming. An optional IRC-6 remote can also be used for control as well as DMX, automated and sound-activated programs. 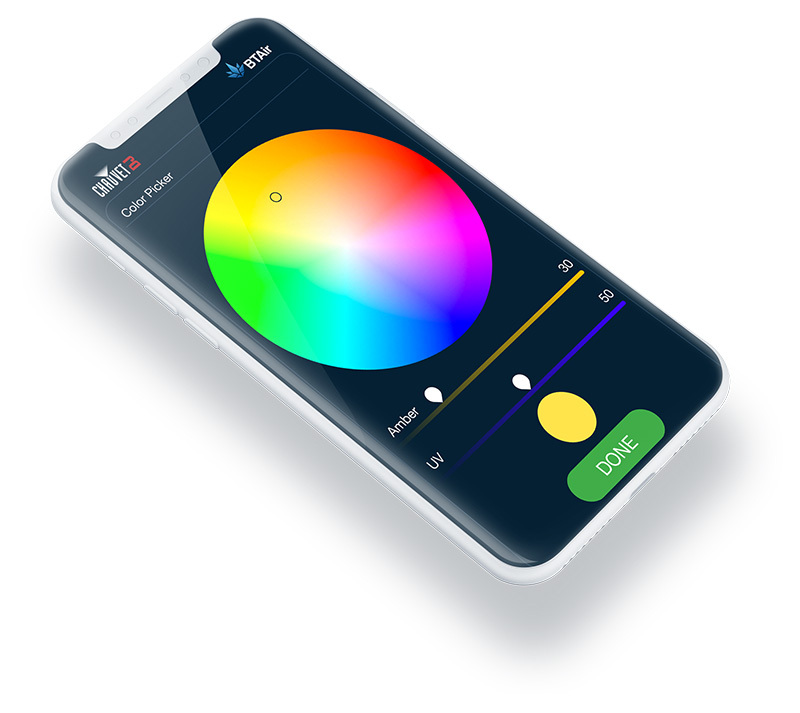 In addition to Bluetooth® wireless technology compatibility, SlimPAR Q12 BT features 12 quad-color (RGBA) LEDs that generate a broad spectrum of colors and achieve natural-looking color temperatures. Easily set static colors or automated programs with the optional IRC-6 remote or create eye-catching effects with sound-activated and automated programs. COLORband T3 BT is a linear wash light also featuring built-in Bluetooth® wireless technology. 12 tri-colored (RGB) LEDs are on-board and 3 zones of control are available to create amazing automated effects. Access built-in automated programs via optional IRC-6 remote, Master/Slave or DMX.